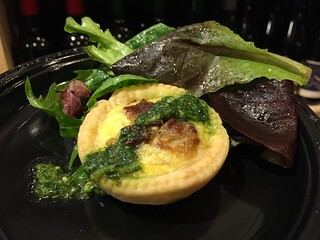 Since it is from Lorraine, it naturally pairs with Quiche Lorraine, which was made Boggy Meadows baby swiss and Tarentaise cheese from Vermont. 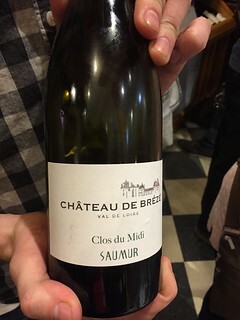 2016 Chateau de Breze "Clos du Midi" from Saumur, Loire Valley, France. This wine is predominantly Chenin Blanc. Even though we are going from rose back to white,this works because the texture is heavier. 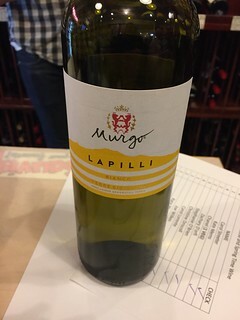 I really enjoyed this white wine. We also tried another wine from the same winery: 2015 Chateau de Breze "Clos Mazarique" made with Cabernet Franc. 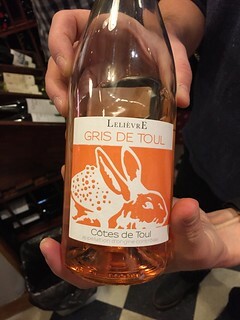 This wine had a foresty character reminiscent of mushrooms. Cabernet Franc and Chenin Blanc are the only two grapes allowed to be grown in Saumur. 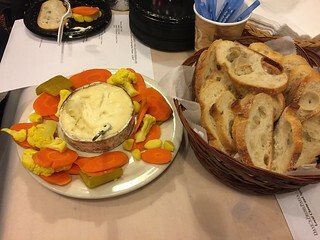 The wines were paired with Harbison cheese, a creamy cow milk cheese from Jasper Hill Farm in Vermont. 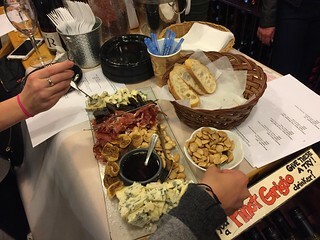 We finished with some sherry and more cheese served with dried figs, jamon, and Marcona almonds. The sherry was Bodegas Valdespino sherry from Jerez, Spain. This sherry is made 95% Palomino, which is a very dry grape, and 5% Pedro Ximenez. 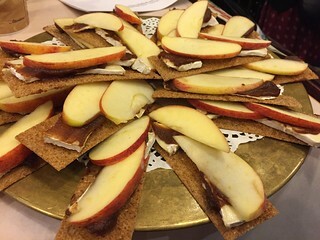 The cheese paired with this was Bayley Hazen, an aged blue cheese from Jasper Hill Farm. The next series of after hours events at Dave's Fresh Pasta will begin in the fall. In the meantime, you can browse CourseHorse's other selections here.